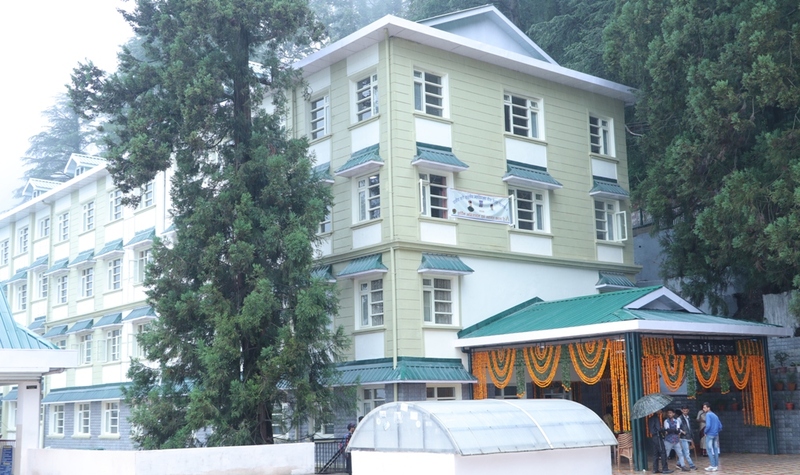 Rajiv Gandhi Government Degree College, Chaura Maidan (Kotshera) Shimla -04 is one of the premier educational institution in Himachal Pradesh. Far from the madding crowd, the college is ideally situated in the lap of nature surrounded by towering deodars and multicolored rhododendrons. The college was established in 1986, and since then it has grown steadily in infrastructure as well as in student strength, which has now gone above two thousand. It is a co-education college and has complete facilities in Humanities, Science,Commerce,Computer Applications, Journalism & Mass Communication,Tourism and Travel and Fine Arts. The college has a rare distinction in offering subjects such as Tourism and Travel Management and Journalism and Mass Communication to the envy of other institutions in the city. To provide stimulus and direction to the students to turn their potential into reality, a team of dedicated members of staff works tirelessly. The college has taken majestic strides on the path of excellence in academics,sports,cultural and co-curricular activities. We aim at holistic development of the students to make them life long learners by developing their skills as effective communicators,progressive in approach and principled citizens. We are sure of their bright and scintillating future. We understand that education is a debt due from present to future generations and it is a transmission of civilization. Albert Einstein puts it,"It is the art of the teacher to awaken joy in creative expressions and knowledge". Various clubs and societies benefit students by organizing seminars,debates,quiz competitions etc. to bring out the hidden talent and potential in the students,which is the sole end of education. In todays globalized world, the college is aware of its responsibilites of imparting quality education to enrich the young minds to face the challenges of life ahead.